A real stunner!! 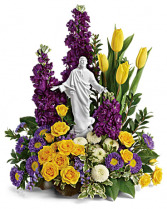 Praise Jesus this Easter with this beautiful yellow and purple arrangement. 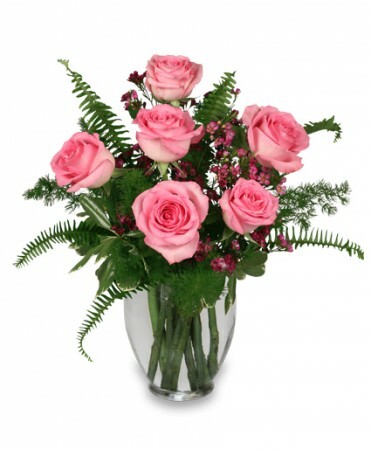 A keepsake you will treasure forever. 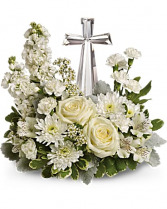 What could be more peaceful than a crystal cross and all white flowers. 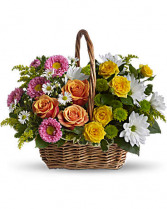 Send Easter wishes, or healing prayers to some one who shares your love of our Lord.